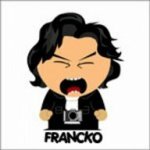 Francko76 had the most liked content! come ti sembra la rom ? ok, my fault.......I missed to flash a file Rom is updated with the same link... Please redownload now ! What recovery have you used ?